Kiev is the magnificent and exotic capital of Ukraine. With over 2.8 million residents, it is the country’s largest destination. Kiev offers you its charming streets, historic museums and a unique variety of exceptional religious architecture. The top attractions of this city include the Kiev Pechersk Lavra monastery, Khreshchatyk Street, and the Golden Gate. Prepare yourself for an enchanting journey to this picturesque and historical destination, because cheap flights to Kiev are now available for a limited time! The capital is home to the Kyiv International Airport (IEV), which is a 30-minute drive or 30-minute train ride from the city. Kiev’s gorgeous architecture, including Pechersk Lavra, and quaint streets and squares, like Maidan Nezalezhnosti, invite you to explore the city. These lovely scenes blossom even further at night. 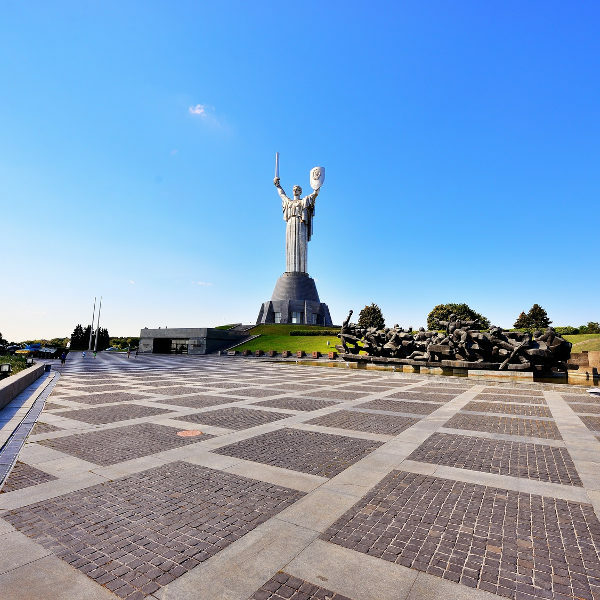 Beyond the religious buildings and monuments, discover Kiev’s history with a variety of museums, including the National Museum of the History of Ukraine and State Aviation Museum. 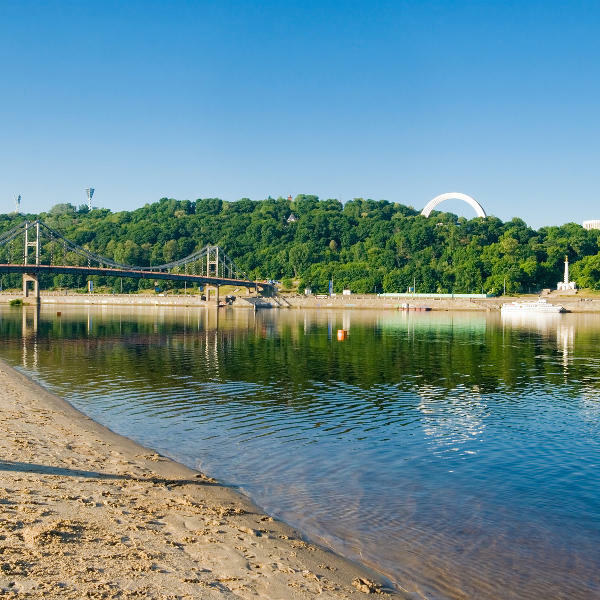 Kiev sits along the Dnieper river, guaranteeing picturesque beach locations, while the warm waters of the mysterious Black Sea offer a delightful experience during the balmy summer months. With a humid climate resulting in warm and damp summers (June – August), this is the season which brings the most visitors to Kiev. This will mean low availability, less place at tourist attractions and the highest hotel rates. While the winters (December – February) can be chilly, they show another facet of the Ukrainian capital’s beauty. Added to this is the fact that the cost of accommodation will go down, as will the volume of tourists. Save on your travelling costs and enjoy your time here at your own pace. Just remember to dress warmly, since it snows in the winter, and January is the coldest month of the year. Kiev is the largest destination in Ukraine. Explore charming historical streets, such as Khreshchatyk, and discover impressive religious buildings (like St Andrew’s Church) as well as secular monuments, such as Rodina Mat. However, this beautiful Ukrainian capital offers so much more than this. Attend a thrilling match at the various stadiums, such as the Olympic National Sport Complex and the Valeriy Lobanovskyi Dynamo Stadium. Treat yourself to the lovely combination of man-made and natural beauty at a large collection of parks, including Landscape Alley and Mariinsky Park. And then there is the nightlife. 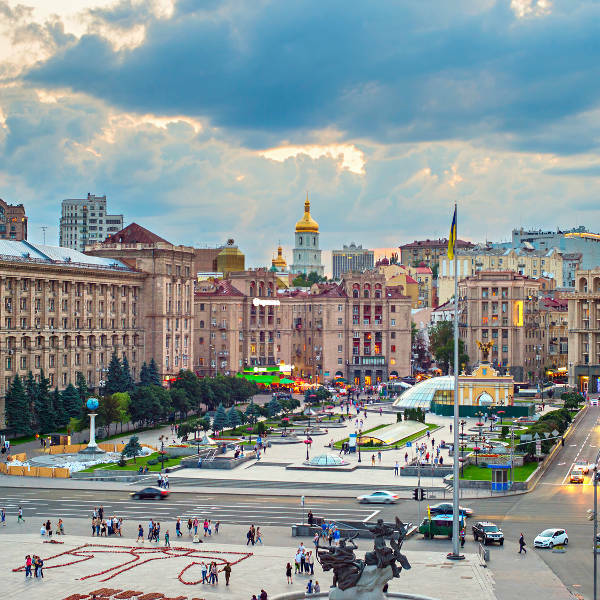 Kiev abounds with restaurants, bars and cafés that bristle with East European energy. Some of the most popular of these include MAMA MANANA, Pivna Bochka, and Vagabond Café and Vintage Corner. Compare several airlines, and book cheap flights to Kiev online at Travelstart! Check with your local doctor regarding which routine vaccinations you need to get before entering Ukraine. Ideally, make sure you do this four to six weeks before departure. Other diseases you should beware of, depending on where you go and what you do in Kiev, include polio, hepatitis A, hepatitis B, and rabies. Pick-pocketing and scamming is common in crowded areas, which is another reason to skip the peak tourist season in the summer. Some scam artists even pretend to be police. Heading to the nearest police station immediately will scare them off. Make sure to keep your valuables close and out of sight, and avoid being out along late at night, as this is when crime on the streets usually increases.